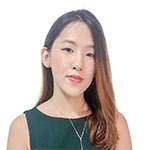 Singapore – March 26, 2019 – Smaato, the leading global real-time advertising platform for mobile publishers and app developers, today announced several new appointments to help expand and develop the business within the fast-growing APAC region. 2019 promises to be an exciting one of fast growth for the mobile advertising industry – with a projected +8.6% growth of Smartphone users in APAC and an ever-increasing variety of mobile apps that users indulge in. To accelerate growth and assist customers across the region, Smaato is investing heavily with its ad inventory in the region increasing by +400% over the past year and expected to grow by a further +500% in the coming year. To drive this, Smaato has appointed several new hires. 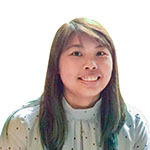 Genelle Hung joins the Smaato Demand team as Director of Demand Business Development in APAC, bolstering the Demand team as she helps drive the growth of Smaato’s range of Mobile App offerings further. 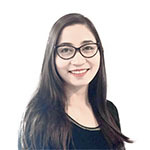 She will be reporting to Toby Williams, Senior Director of Demand (APAC). 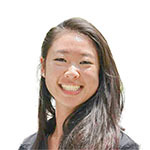 Most recently, Genelle was the Director of Strategic Accounts at Appier Inc. (SEA). With more than a decade of experience under her belt, she will play a prominent role in driving new and existing demand relationships with agencies across the APAC region. Also joining the demand team are Helene Nguyen in business development, while Lourydie Velasco and Margaret Christany join the Demand Account Management team. Smaato is also actively expanding its supply footprint in the region. 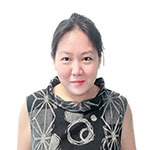 With the recent hire of Jane Sng, who will assume the role of Manager of Supply Partnerships (APAC). Jane is tasked with developing and managing app developer partnerships in this region. Additionally, she will be optimizing inventory possibilities and maximizing global monetization opportunities with publishers. Prior to joining Smaato, Jane was with Verizon Media (formerly known as Oath). Smaato’s Managing Director (APAC), Alex Khan, explains that Smaato is on an exciting journey of growing the APAC division as they seek to build and improve brand and agency relationships. Smaato has grown rapidly over the past three years. The company manages up to 19 billion mobile ad impressions daily and reaches over one billion unique mobile users monthly.